« Is that a paver or a raver? Great Grandfather Stevens was a farm labourer and in particular a woodman labourer. 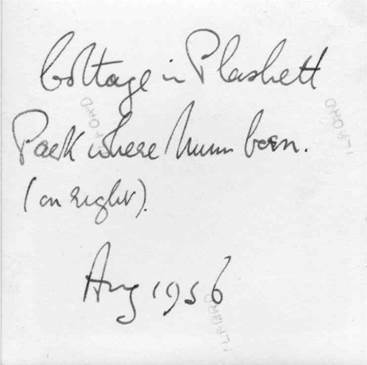 He spent his life in and around an area of woodland near Uckfield in Sussex known as Plashetts. His home, and that of his family, was in a cottage convenient to the current workplace. 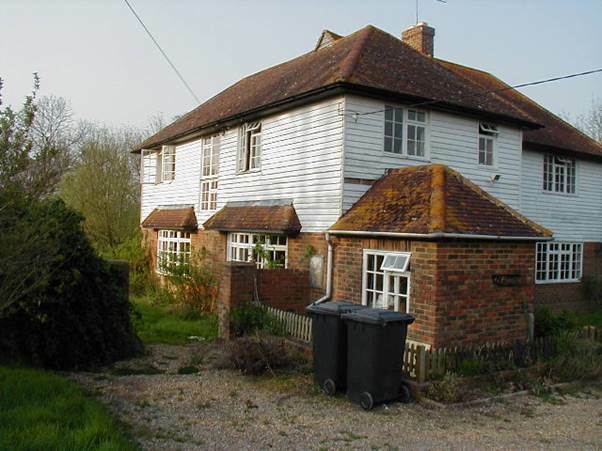 Sometimes it was in the parish of Ringmer, at other times it was in Isfield. 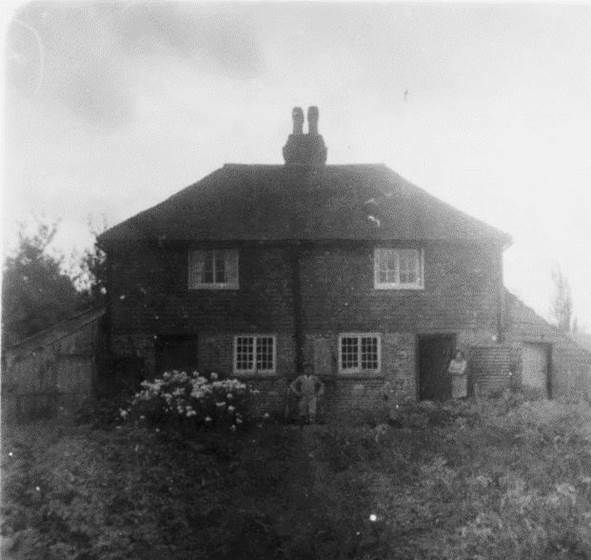 He spent time in Ridgewood but this cottage was in Little Horsted and this is the place where my grandmother was born. This pair of little semis was called Plashetts Cottages. The evidence is that great grandfather had the right hand half as home, for a while, certainly in 1892. This photo is one of Grandad’s negatives and dates from the 1920s. He and granny must have paid a visit. My dad visited too but around thirty years later in 1956. He cycled there from ‘camp’ with my brother. My brother is standing in the middle and the occupant of the time is outside her front door. 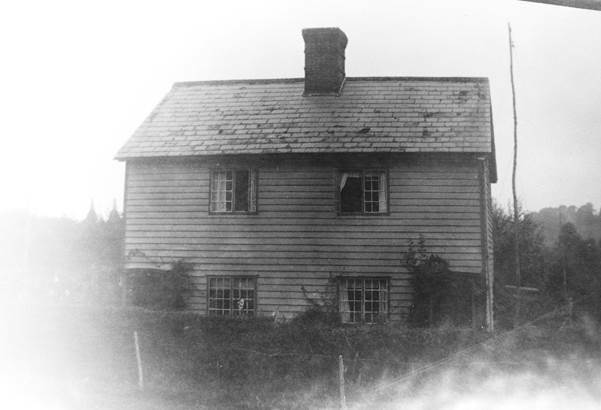 The windows and doors have been altered and each half has a lean-to. It looks as though the weather boarding has been replaced – at least on the bottom of the structure. My dad had captioned his picture. I visited in 2002. It was all rather different for two little cottages had become one large house. I was pleased just to find the place but I’m not sure my gran would have recognised it. This entry was posted on January 6, 2015 at 5:53 am and is filed under Genealogy, past times. You can follow any responses to this entry through the RSS 2.0 feed. You can leave a response, or trackback from your own site.